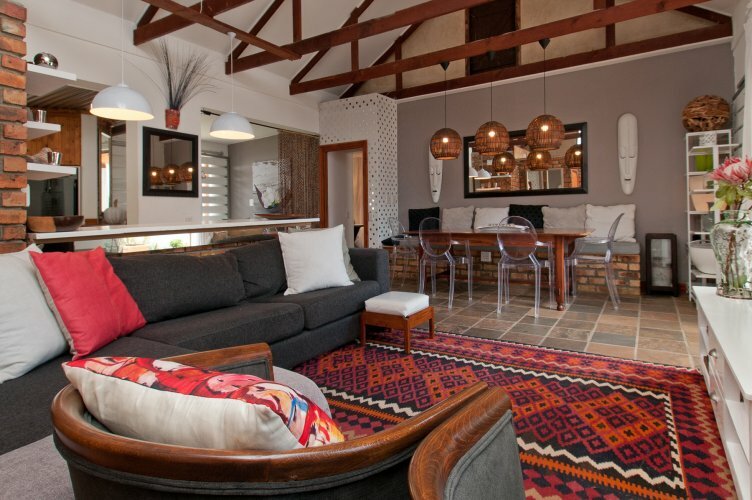 Upmarket, centrally located cottage in Hermanus, Western Cape, South Africa. 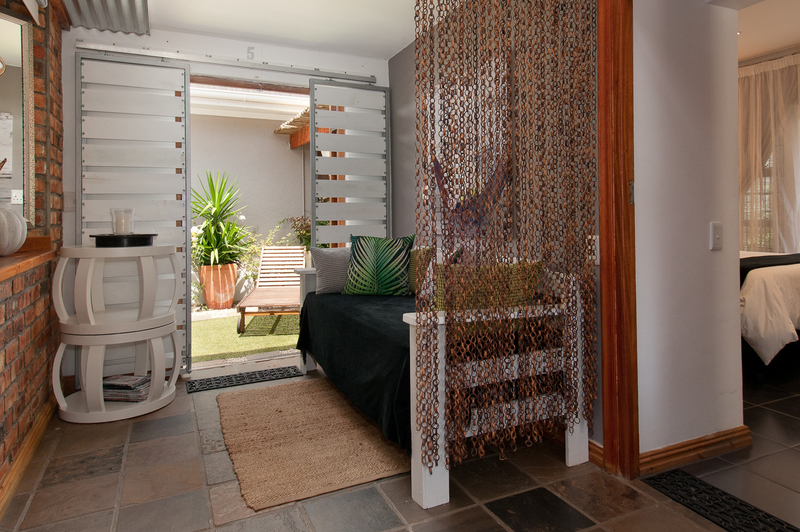 2 bedroom 2 bathroom self-catering unit with private garden, braai area. 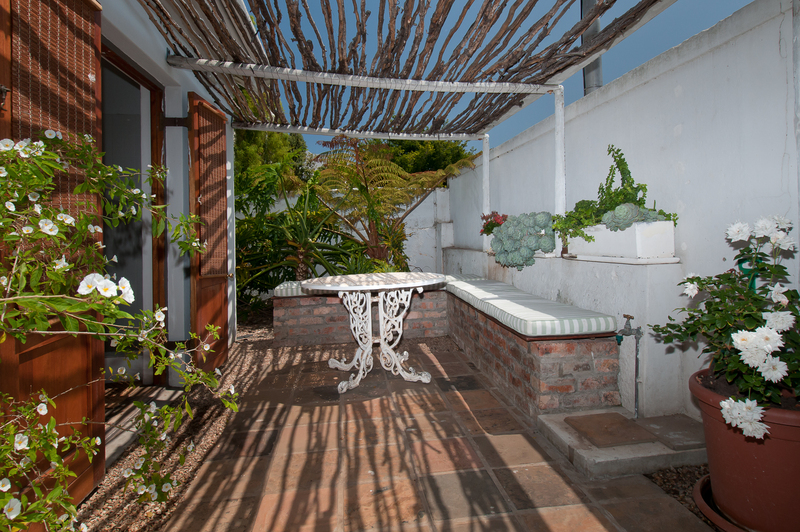 Walking distance to shops, restaurants and coastline. 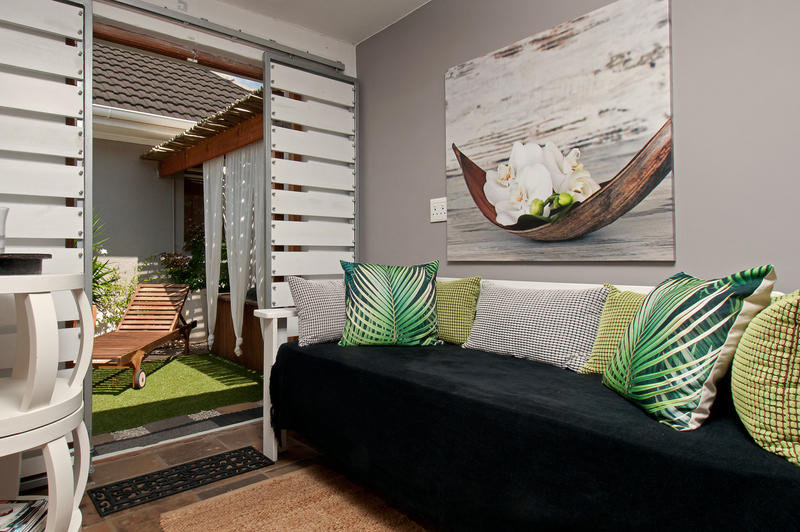 This modern two bedroom cottage is conveniently located in the centre of town, walking distance from restaurants, shops and the famous cliff path. 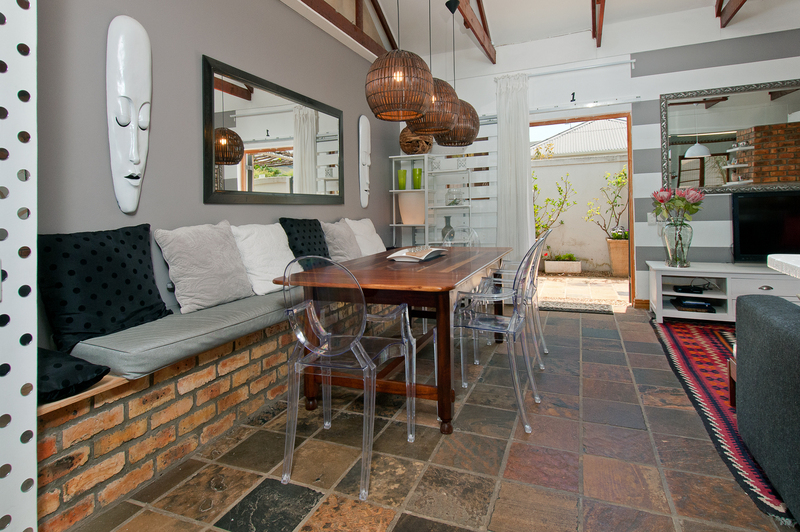 The space is tastefully decorated and very spacious, consisting of 2 bedrooms, both en-suite, a large open-plan living space with fully equipped kitchen and a beautiful courtyard with built-in braai . There are multiple french doors opening onto the courtyard/garden. 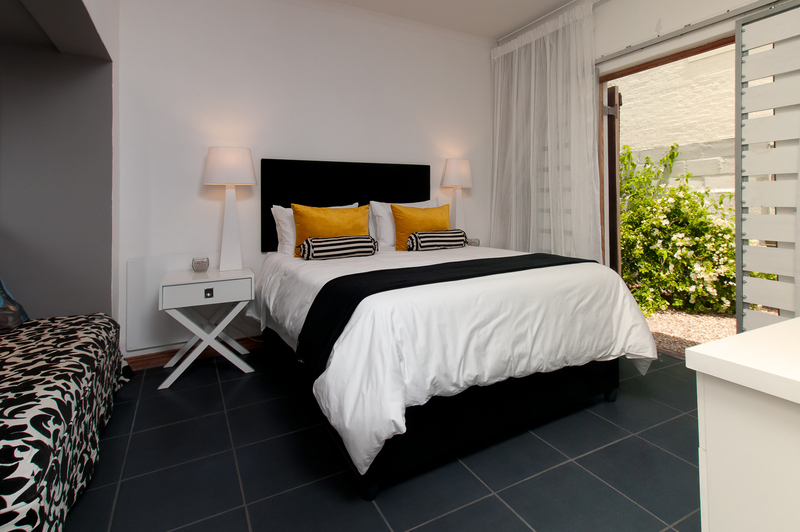 The main bedroom has a queen-size bed and walk-in closet, with French doors opening up onto the courtyard. 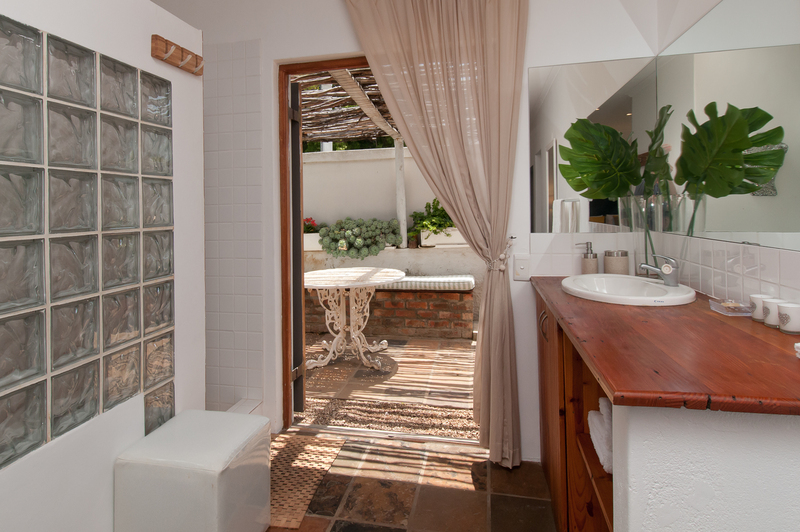 The en-suite bathroom has a toilet, basin and a large shower, also with french doors to the courtyard. 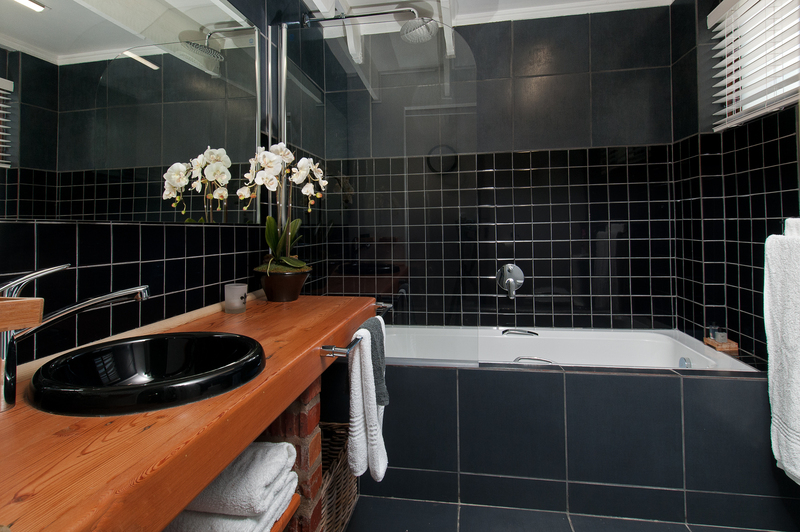 The second bedroom has twin beds, with a toilet, basin and bath-shower-combo in the adjoining bathroom. 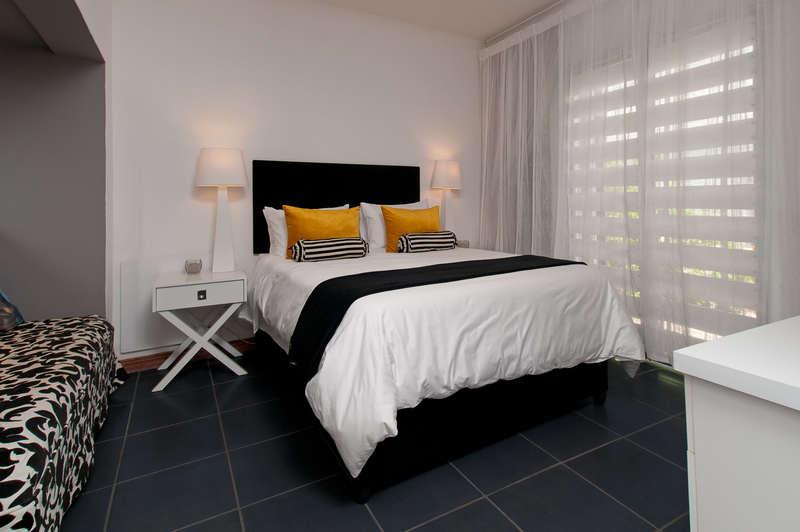 There is also a single day-bed in the living area that can accommodate a 5th adult, or an older child. 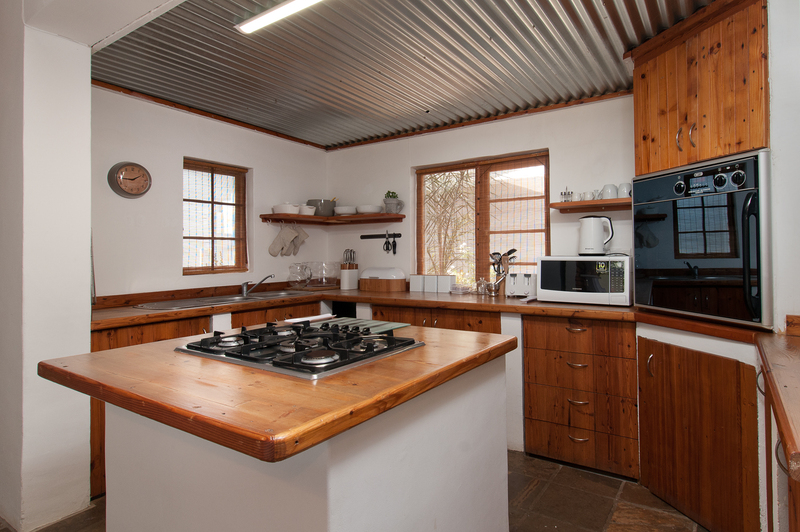 The kitchen is fully-equipped for self-catering, and is fitted with a dishwasher and Washing machine. No laundry facilities, but laundry services (wash and dry) are available at an additional cost. 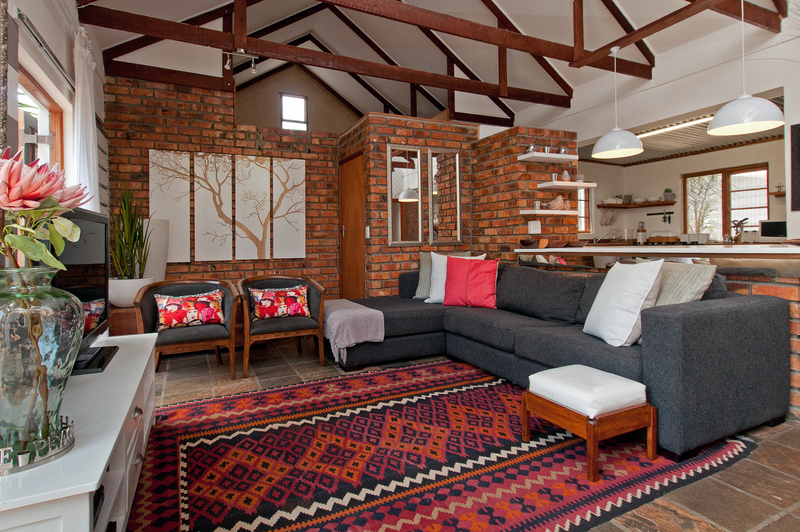 The open-plan living area includes a dining area that seats 6 people, a TV with full DSTV package, and free wi-fi. 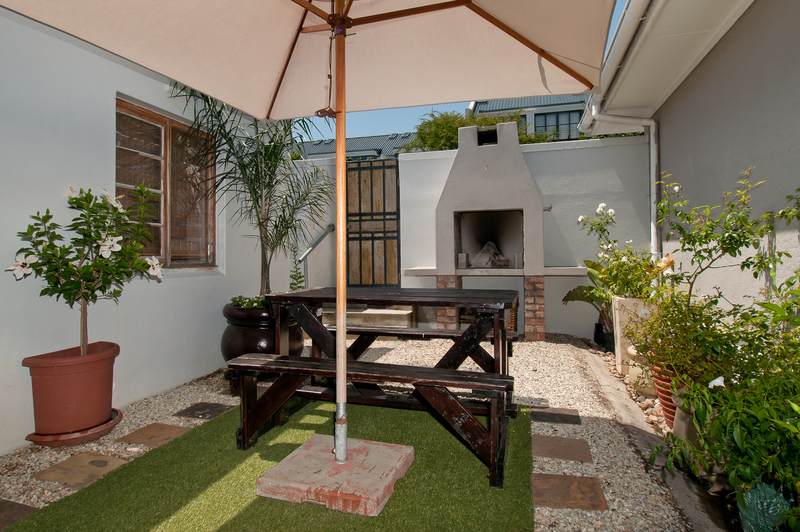 The private courtyard area features a built-in braai. Fans and heaters are provided. All linen, including swimming towels are provided. 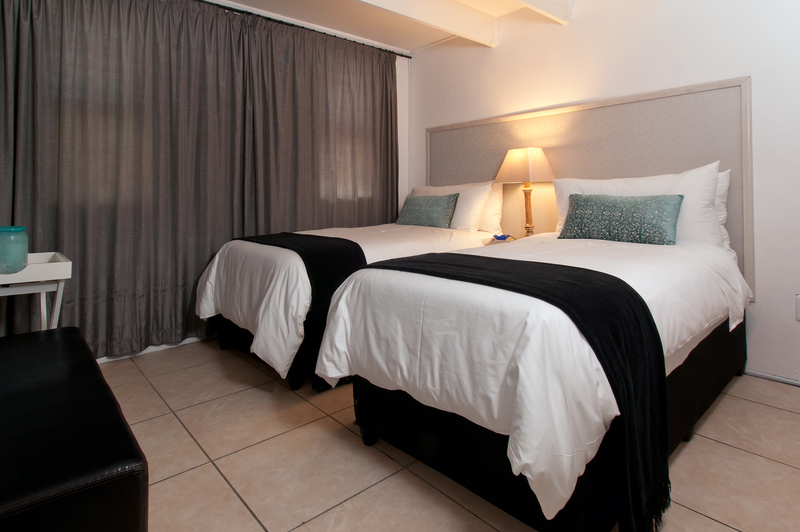 Basic amenities including toiletries and cleaning products are also provided. 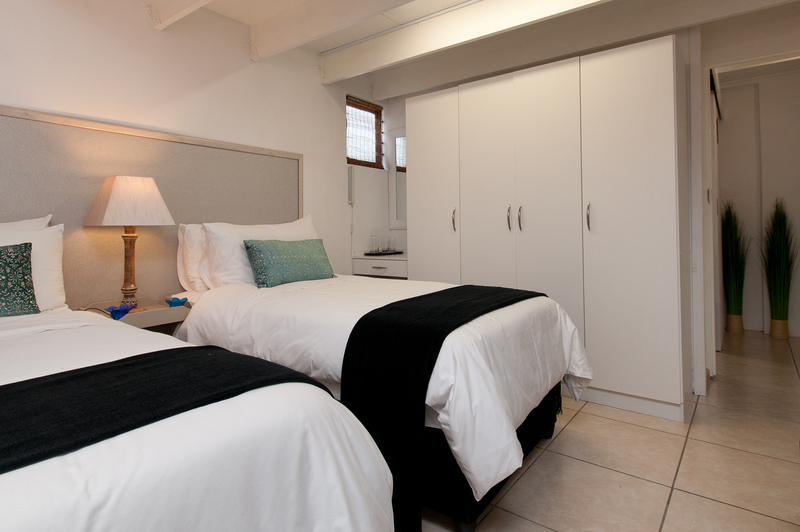 A minimum stay of 1 night is required throughout the year, but in peak season (15 Dec – 15 Jan) a minimum of 10 nights need to be booked. This cottage is child-friendly. 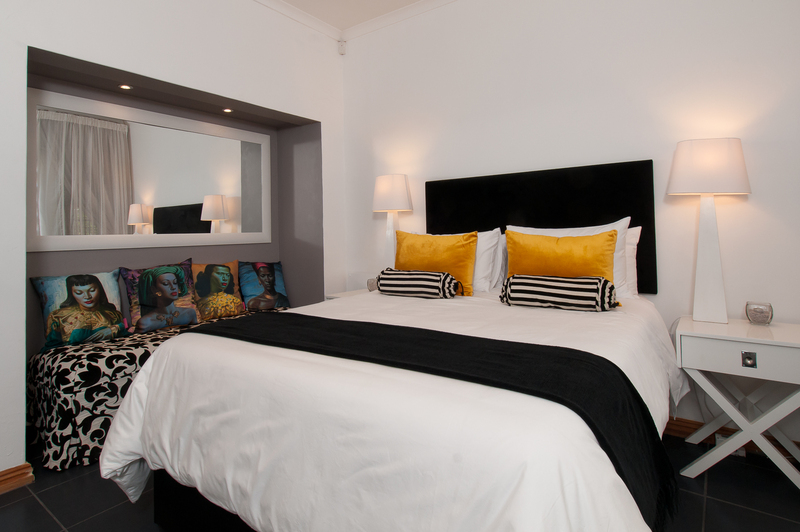 It is best suited to accommodate 4 adults, a 5th adult (or 1 child, at an extra cost of R500) can be accommodated on a day-bed in the common area. Infants can be accommodated and we do have a camping cot available.